How are you all doing today? Enjoy your Sunday? 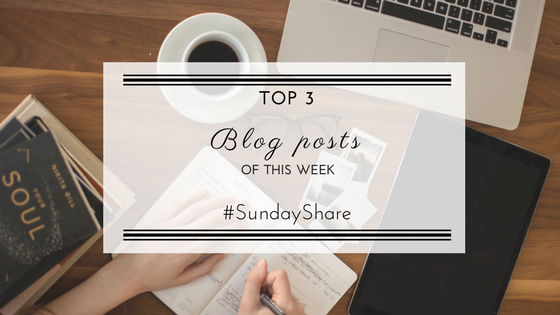 For this week's #SundayShare I thought it would be a cool idea to share with you some of my favorite posts of this week, written by fellow bloggers. In the end, blogging is as much as writing for others as reading from others. Or at least, that's how I see it. 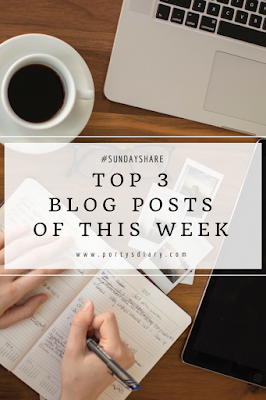 There are several reasons why one has a blog, and not all of us face blogging the same way, but I think the majority takes it quite seriously. Even if it is just a hobby (like myself). And with this in mind, several times, we tend to question "how good of a blogger are we" or compare ourselves and blogs with others'. So, when I first read Caroline's post, I was so happy to realize that someone else shares the same opinions as me. There is no such thing as "Being a bad blogger". Caroline, thanks for this amazing post! Holy from thimbles and spoons wrote a post about how simple things can mean a lot to bloggers and how easy it is to support the blogs you like, even if you are not a blogger yourself. I could not agree more with her; it really doesn't take a lot to show some support & love to those who you appreciate and their work. 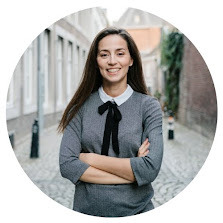 Last but not least, for this week, is the post written by Signe from the blog UseLess. Her blog and Youtube channel are a true inspiration to me. Love her simple yet to the point attitude about so many things. So it was no surprise I enjoyed so much her last post, where she recommends 3 documentaries about how to get into a more sustainable lifestyle. Totally recommend you read it and I myself will certainly watch these 3 documentaries. And this it for this week's Sunday Share. I hope you take your time to read these posts and let me know in the comments what were your favorite posts you read this past week.